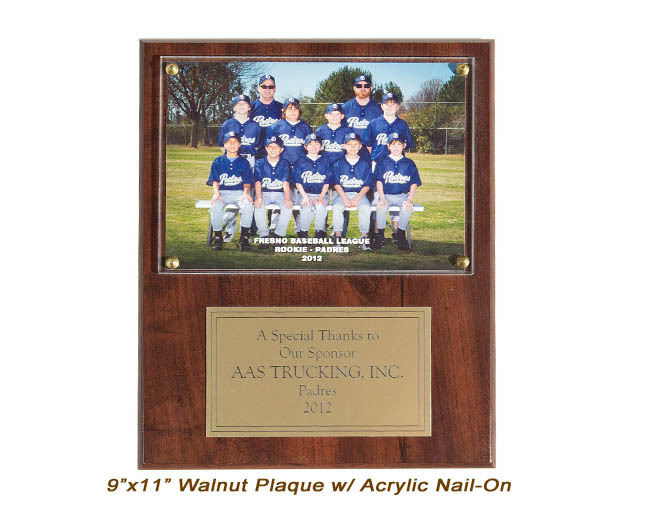 Team Appreciation Plaques are a great way to say “thank you” to your coach, manager, or sponsor! These are high quality, attractive plaques and they come fully assembled. 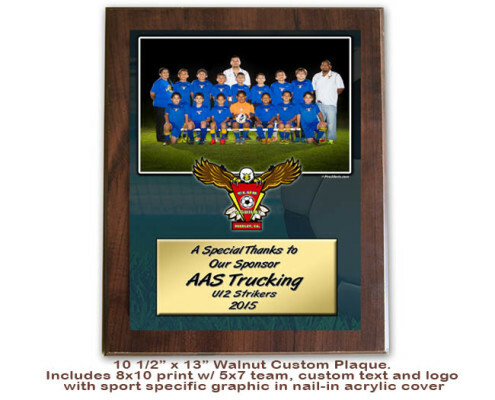 They are available in several different styles and sizes. Text is fully customizable. Print sizes are 5×7 and 8×10. League discounts available, call for details. 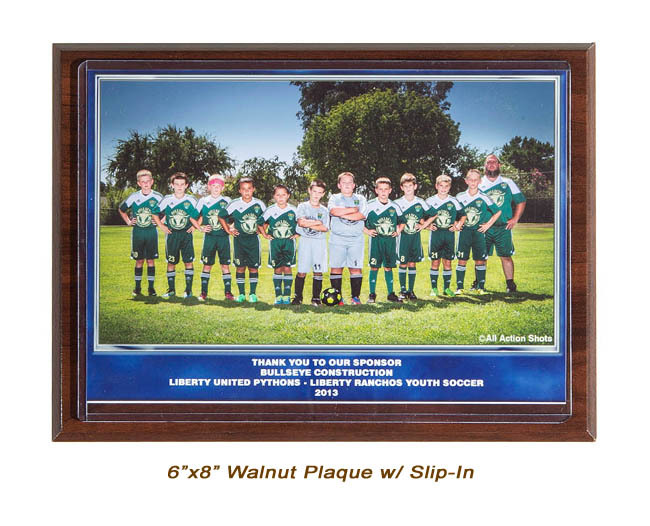 10 1/2 x 13 walnut custom plaque, 8×10 print w/ 5×7 team photo, custom text, league logo and sport specific graphic with nail on acrylic cover. 9×11 walnut plaque, 5×7 team photo with nail on acrylic cover. 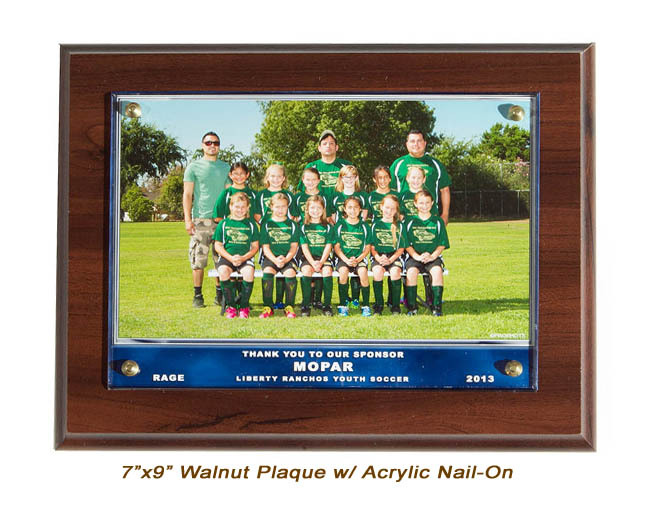 7×7 walnut plaque, 5×7 team photo with nail on acrylic cover. 6×8 walnut plaque, 5×7 photo in a slip-in plastic cover.